There have been some inquiries about accreditation of the college as this is required for certain government jobs. 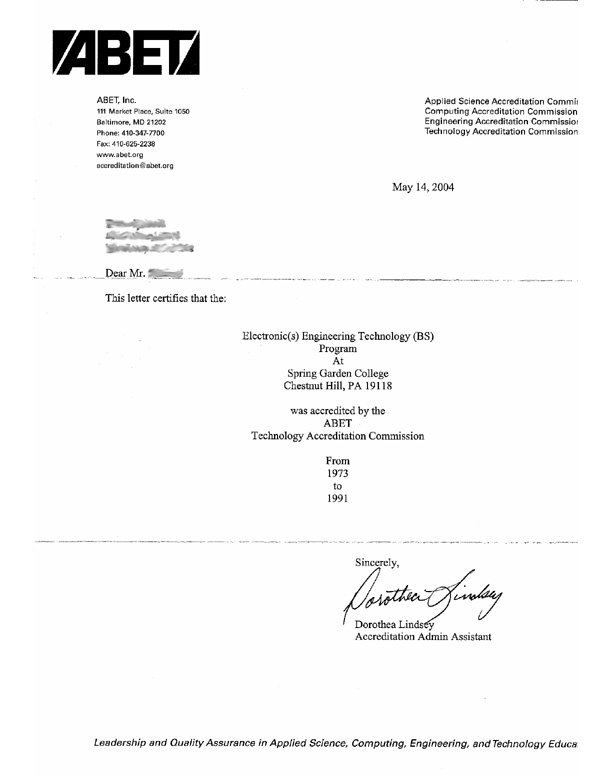 In 2010, Alumni Jim Elser contacted ABET about accreditation of the Building Construction Engineering Technology program and received the following letter. 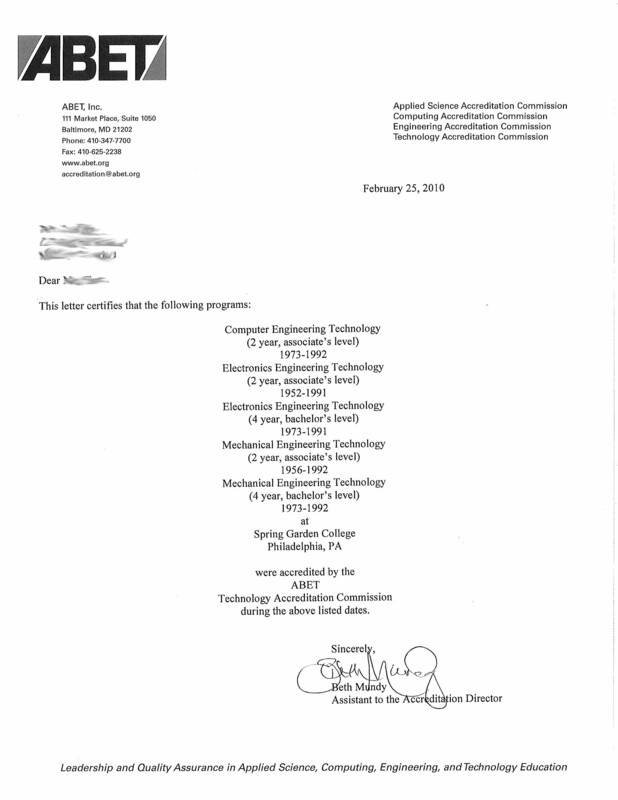 In May of 2004, Alumni Pete Spinelli, contacted them about the EEET program the bottom letter. Other programs were accredited as well. Your best bet is to contact them yourselves. http://www.abet.org.